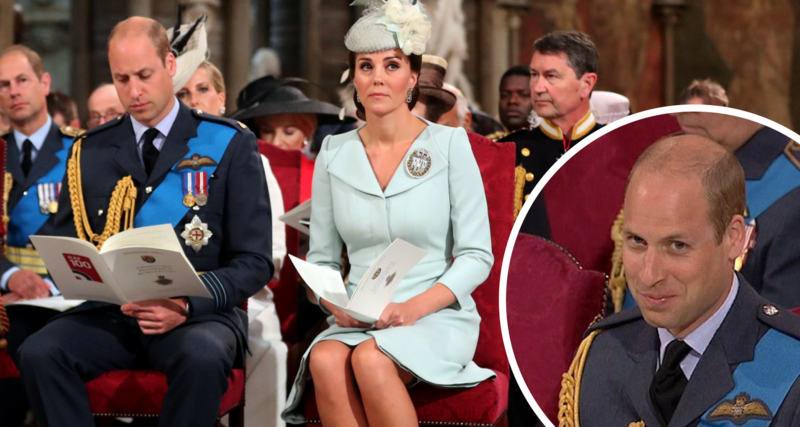 Prince William and Kate Middleton have been caught out struggling to contain their giggles during the Royal Air Force Centenary service earlier today. The Duke of Cambridge, 36, was spotted laughing after Prince Edward gestured at someone to kneel down at the Westminster Abbey service. A camera caught a smirking William attempting to contain his laughs. The Duchess of Cambridge, 36, catches the prince giggling, and she too attempts to contain her laughter.